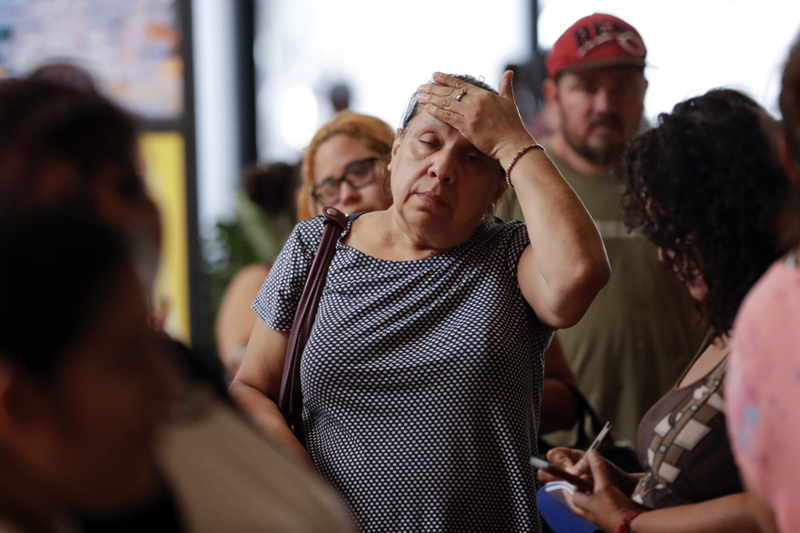 A woman waits with others in line for donated goods from a makeshift distribution center set up among the cubicles of an office Friday in Pasadena, Texas. Thousands of people have been displaced by torrential rains and catastrophic flooding since Harvey slammed into Southeast Texas last Friday. 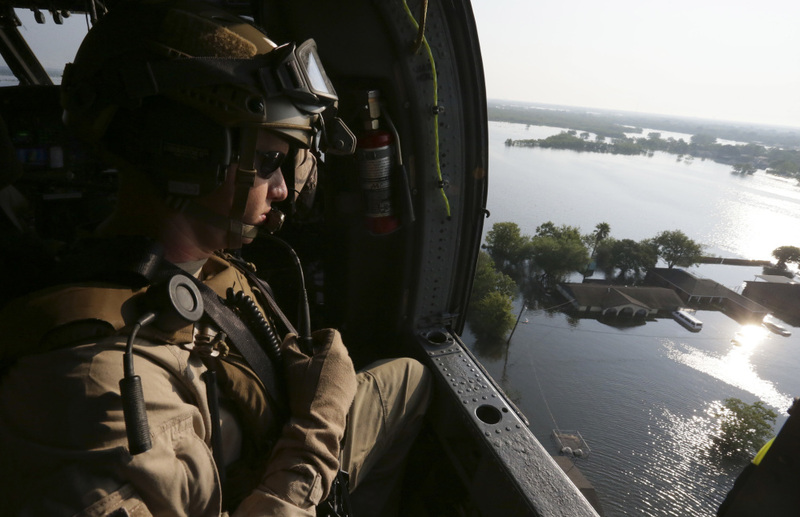 Aviation enforcement agent Greg Tolley looks out over a flooded neighborhood aboard a U.S. Customs and Border Protection Air and Marine Operations helicopter during a an aerial survey of an area hit by floodwaters from Tropical Storm Harvey in Port Arthur, Texas, on Friday. 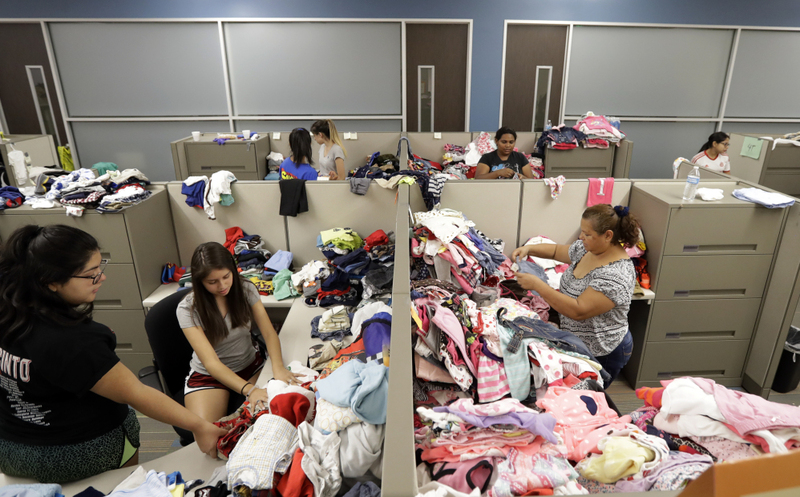 Volunteers sort donated items in a makeshift distribution center set up among the cubicles of an office Friday in Pasadena, Texas.